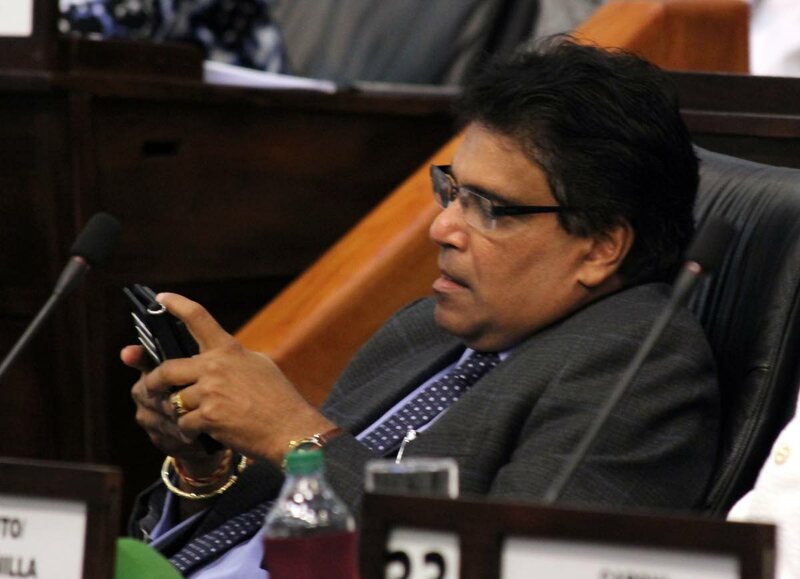 Oropouche East MP Dr Roodal Moonilal says he wants a meeting with Police Commissioner Gary Griffith to discuss information that “certain political operatives” are seeking to induce senior TTPS officers into accepting political office as an inducement to do their bidding. “That is something I have taken note of and it is a matter I intend, in the coming days, to either discuss or write to the Commissioner of Police, to alert him of that type of intelligence which has come to my attention within recent times,” he told Sunday Newsday. The MP, who had raised the issue on Friday during debate on the Trespass Amendment Bill in the House of Representatives, which was passed by a simple majority, alleged the police officers were being lured by offers of future political careers. Moonilal also called for new laws to forbid retiring police officers from taking up political posts. On whether he had reported to the police, allegations that rogue officers had helped in kicking people out of their homes for gangsters to move in, Moonilal said he learnt of the situation in 2013 during his term as housing minister in the former People’s Partnership administration. Moonilal could not say if the situation was still occurring. “We were looking at it and I don’t know what happened over time. But it is something we were very conscious of and it is in keeping with other experiences. Reply to "Moonilal wants meeting with CoP"